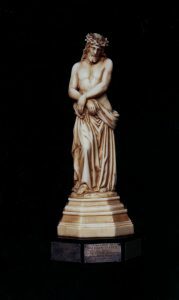 Recently we had occasion to investigate how a porcelain statue of Christ, which had belonged to William Davis, came to be in the Congregational Archives, write the Archivist, Janet Howse. The investigation became a tale of how one item in the Archives is connected to other facets of Australian history and demonstrates how the Congregational Archives cannot be viewed in isolation as simply the Archives of a Religious Institute but has potential and significance for wider historical connections with Australian society, history and culture. Why, how and when did the statue come to be in the possession of Mother Mary Gertrude Davis? What prompted Mother Mary Gertrude Davis to give the statue to Mr and Mrs Jageurs in 1892 and what was their connection to William Davis or the Sisters of Charity? What were the circumstances surrounding the return of the statue to the Sisters of Charity in 1951? Let us go back to the beginning to William Davis, who when he died in Sydney in 1843, was described as possibly the last surviving “victim” of the Irish Rebellion (according to the English) or Irish Uprising (according to the Irish) of 1798. He was transported to NSW with 132 Irish rebels, arriving in 1800. Later that year, he was suspected of being involved in a plot by Irish convicts to seize control of the colony and received 200 lashes as punishment. In 1811, Davis received a conditional pardon and three years later, an absolute pardon. He subsequently became a successful property owner and benefactor of Catholic causes, including donating the site of St Mary’s Convent at Parramatta in 1839, building the convent and bequeathing the site of St Patrick’s Church, Church Hill. Three years after his absolute pardon, his fellow Catholics thought enough of his good work to present him with the statue of Christ with the inscription which refers to his suffering as a convict. Father Jeremiah O’Flynn, who arrived in the colony in November 1817 without permission from the British Government, conducted baptisms, marriages and Mass in private in Davis’ house at 1 Charlotte Place, contrary to Governor Macquarie’s orders until his expulsion by Governor Macquarie in May 1818. Whether by accident or design is unknown, but prior to his expulsion, Father O’Flynn left the consecrated communion sacrament in a pyx there. It became a focus of prayer for a group, who kept daily vigil before the Eucharistic sacrament until the arrival of Father J. J. Therry in May 1820. The Congregational Archives holds not only the statue of Christ, but two brass candlesticks and a silk pyx cover in a silver case used in the secret Masses said in William Davis’s house. William Davis, who was childless, died almost five years before the birth in 1848 of his great-niece, Mary Davis (later Mother Mary Gertrude Davis) at his house at 1 Charlotte Place. Mary Davis was the youngest of four children of William Davis’ nephew, John Davis. According to William Davis’s will, he left his estate to family members, including his house to John Davis. The statue, the candlesticks and the silk pyx cover and silver case remained in the house and in John Davis’s family’s possession until the demolition of the house in the 1860s. Mary Davis entered the Sisters of Charity in 1870 and was professed in 1872. On her profession, she was given the silk pyx cover by her relatives. Was she also given the statue as well? We do not know. Now we come to 1892, and how the statue came to be given to Mr and Mrs Jageurs in 1892 by Mother Mary Gertrude Davis and who this couple was. 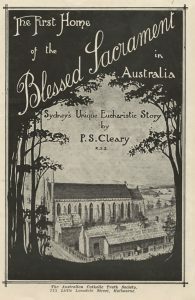 Sleuthing in the National Library of Australia’s newspapers on-line revealed that Miss Dena Bartley married Mr Morgan P Jageurs at St Patrick’s Cathedral, Melbourne on 17 February 1892. 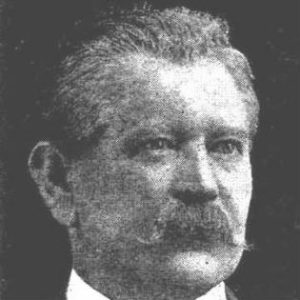 More research found that Morgan Jageurs, described as a monumental mason and Irish patriot, was born in Ireland in 1862. The Jageurs family migrated to Queensland in 1865, to Sydney in 1868 and to Melbourne in 1870. During 1883 and 1884, Morgan Jageurs attended the National Art School, and travelled extensively in Europe. In 1892, he joined the family firm of Jageurs & Son, monumental sculptors, marble and granite merchants, based in Parkville. Jageurs was prominent in Irish nationalist causes, a student of Irish language, literature, music and art and president of the St Patrick’s Society between 1889 and 1900. The article also revealed that his bride, Miss Bartley, had been a teacher at Clifton Hill, probably at St John’s School, Clifton Hill, where the Sisters commenced teaching in 1894. At the time of the Jageurs’ wedding in 1892, Mother Mary Gertrude Davis was Mother Rectress at St Joseph’s Convent, Hobart. She had previously been in Melbourne since her arrival 5 January 1889 as the first Rectress of the Melbourne community. Was the statue of Christ taken to Melbourne with her from Sydney? Why did Mother Mary Gertrude Davis give the statue to Mr and Mrs Jageurs? The year on the plaque coincided with the Jageurs’ wedding. Newspaper reports of the 1892 wedding not only revealed the precise details of the bridal outfit and those of her attendants, but also a comprehensive list of guests and their gifts to the bridal couple. Mother de Sales, Sister of Charity Sydney, was the giver of Agnus Dei. Presumably this would have been Sr Mary de Sales Phillips, who had been Mother Mary Gertrude’s Novice Mistress. So, now we have an explanation of the second plaque and why the statue came to be in the possession of Mr and Mrs Jageurs in 1892. 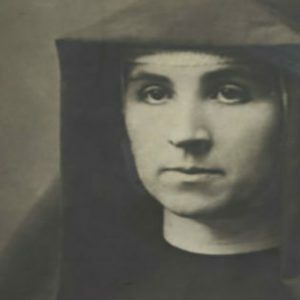 Wondering if there was a closer connection with the Sisters of Charity, a search of Sisters with the surname of Jageurs revealed Sr Mary Laurentia Jageurs. 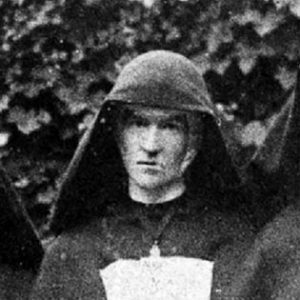 Born Mary Jageurs in 1864 in Ireland, Sr Mary Laurentia was the daughter of Mary Casey and Peter Jageurs, monumental mason and Morgan Peter Jageurs’ younger sister and only sibling. Born two years after her brother, she died two years after him, in 1934. Sr Mary Laurentia spent most of her life in Sydney having taken vows in October 1891 several months before her brother’s wedding. 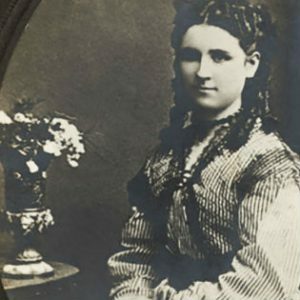 Had the family become acquainted with Mother Mary Gertrude Davis in Melbourne between 1889 and 1891 as part of the Catholic community? How did the statue of Christ come to be given back to the Sisters of Charity in 1951 by the Jageurs family? Did it come to the Sisters following the death of a family member? Further sleuthing in newspapers revealed that Mrs Dena Mary Jageurs, widow of the late Morgan Peter Jageurs, died on November 13, 1950 and she certainly had a close connection with the Sisters of Charity. 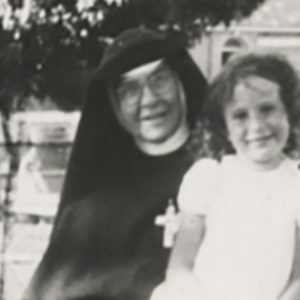 In her obituary, two Sisters of Charity are cited as being her biological sisters – Sr Mary Bernarda Bartley and Sr Mary John Baptist Bartley. Sr Mary Bernarda, born as Elizabeth Bartley in 1869, entered in 1893, taking her final vows in 1896. Her younger sister, Gertrude May Bartley, born in 1876, entered in 1897 and took her vows in 1900 as Sr Mary John Baptist, passing away at St Vincent’s Hospital Melbourne ten years later. It is likely that following the death of Mrs Dena Jageurs in 1950, fifty-eight years after receiving the statue as a wedding present, her family gave the statue back to the Sisters of Charity. Mrs Jageurs had come from a prominent Catholic family of eleven children, of whom six had joined religious orders. Mrs Dena Jageurs and her husband parented five children – John, Mary, Betty, Peter and Kathleen. In 1916, John the eldest, having served at Gallipoli in 1915, was killed by a German shell on the front line at Pozières, in France. 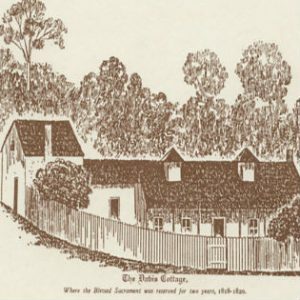 What an interesting tale which encompasses the 1798 Irish Uprising, William Davis, Governor Macquarie, Father Jeremiah O’Flynn, Mother Mary Gertrude Davis and a prominent Catholic family of monumental masons in Melbourne. In addition, three Sisters of Charity, Sr Mary Laurentia Jageurs, Sr Mary Bernarda Bartley, and Sr Mary John Baptist Bartley, and a soldier’s death at the Somme in 1916, are connected by the statue of Christ. It is truly an example of how an “object” in a museum collection is not just a three-dimensional “object” but can lead us to the telling of a number of inter-related narratives.